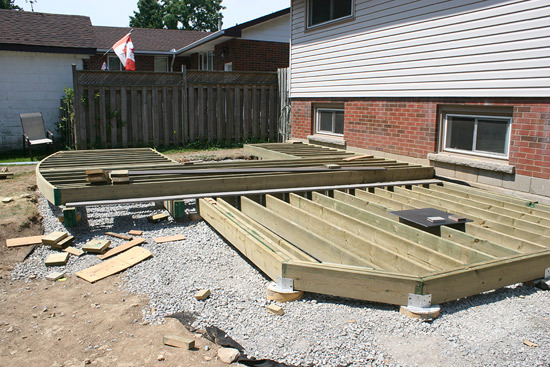 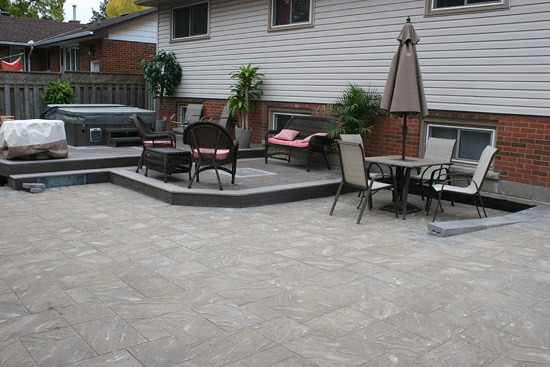 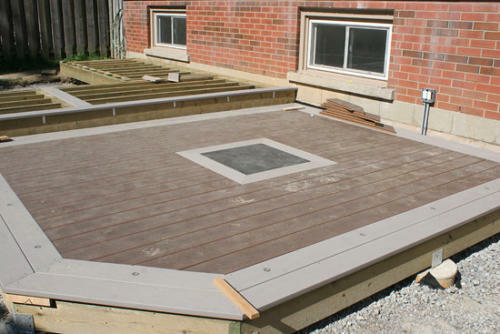 This DIY project in Hamilton, Ontario was fully designed, constructed and detailed by myself over the course of this past summer, including 850+ square feet of Covington interlock patio, a Triple H Concrete product. 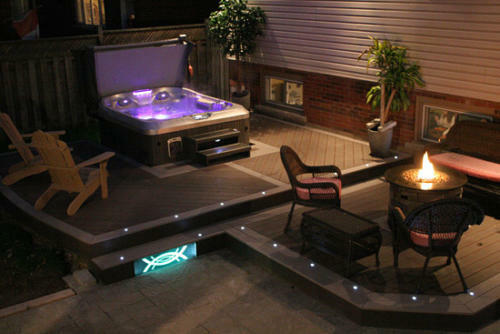 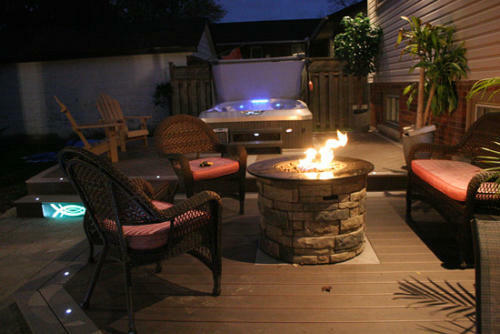 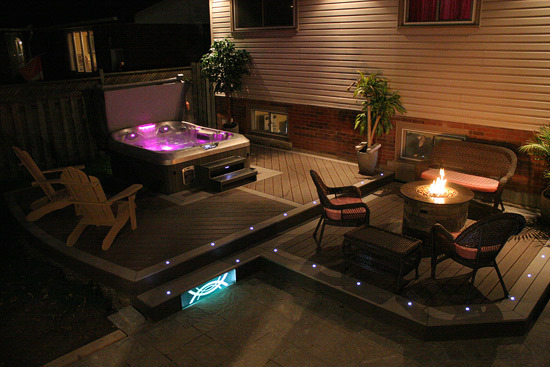 The maintenance-free deck is approximately 360 square feet of Solstice Decking, coordinated in two-tone color to match both the high-end Jacuzzi J-420 spa, as well as the two-tone interlock. 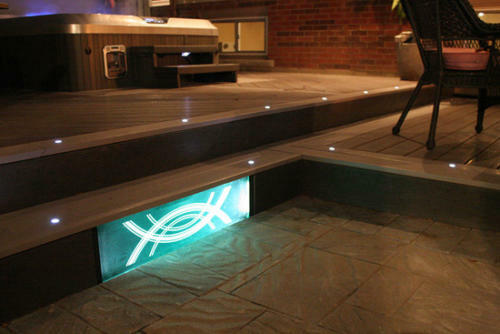 As you can see, I have creatively utilized a DEKOR® Perfect Panel within my project to illuminate the step up onto my second tier deck. 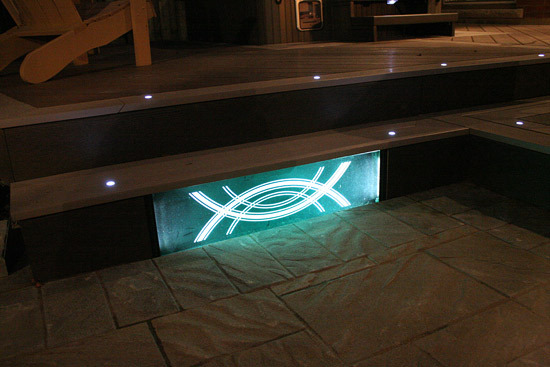 The powered electronics are also quite unique within this project, as they are located within a weatherproof utility box beneath a 24-inch slate inlay that enhances the center of the lower deck. 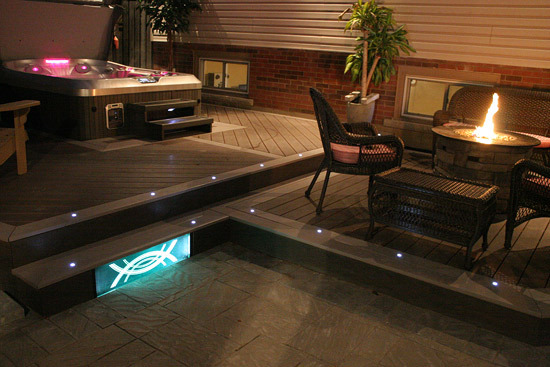 This panel is easily lifted up to access the electronics if required for service. 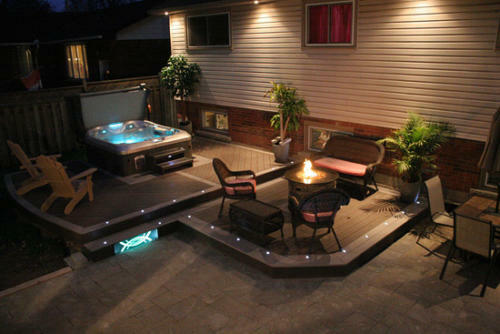 Coupled with the low voltage LED step lighting, as well as the halogen soffit lighting from above, this outdoor oasis has certainly added great value and aesthetic appeal to my backyard retreat. The last photos detail the use of the glass Perfect Panel.